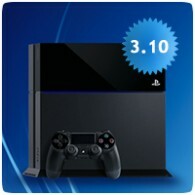 Sony has released PS4 Firmware v3.10 this morning, adding support for verified PSN accounts and adding more stickers. It’s a minor update for the system software, and unfortunately it’s mandatory, so you will need to update your console before you can access the PlayStation Network. You can now follow verified accounts of game studios and developers in Profile, What’s New and (Friends). When you follow the accounts, you can keep track of their activities in What’s New. New stickers have been added to (Messages).